Some people are incredibly creative. 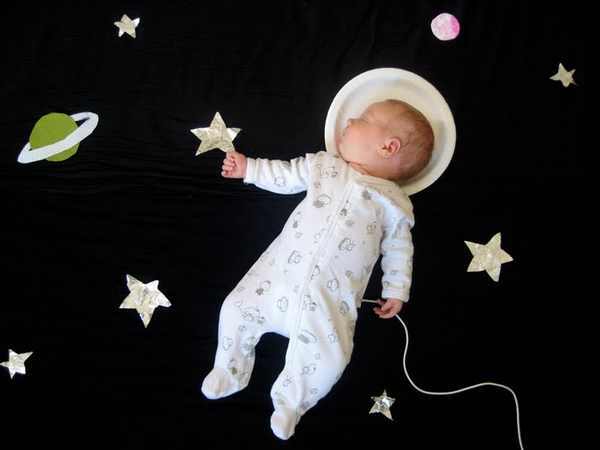 When I discover new mothers who find time to be incredibly creative, I’m doubly impressed. When I had newborns the most creative thing I ever did was artfully arrange their stacks of swaddling wraps. Needless to say, when I found Adele Enersen’s photo blog I was blown away. It’s beautiful. It’s sweet. It’s truly amazing. 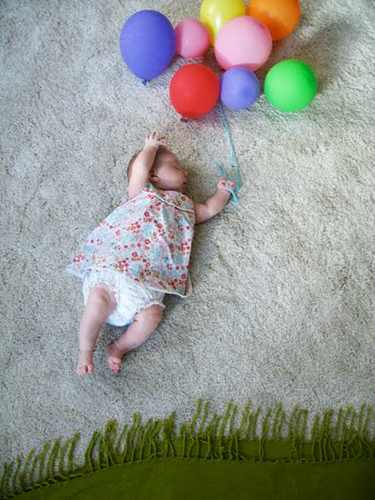 While her baby, Mila, is taking a nap, Enersen imagines what she is dreaming and creates scenes around her. Each scene takes only a few minutes to set up and photograph because after all, who wants to wake a sleeping baby?! Clever use of fabric and simple props combine to make magical images. My favourites – Her SuperPinkiness and Space Odyssey 2010. I’m sure fans of the blog will be very disappointed when Mila drops her daytime naps! Check out all the photos at Mila’s Daydreams.